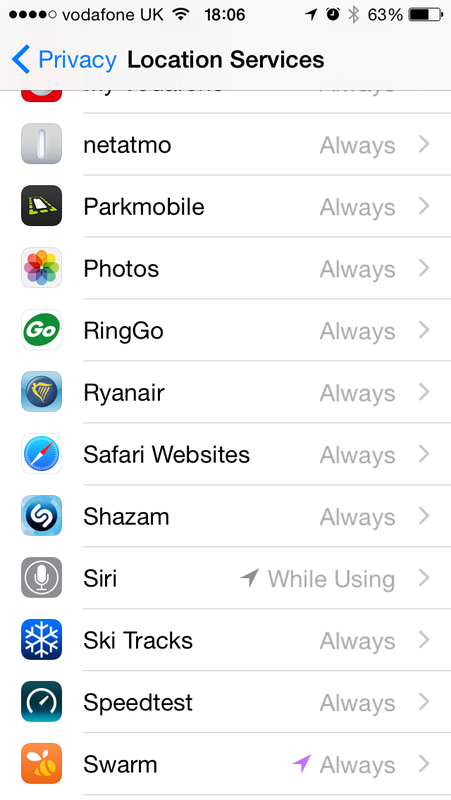 Why do the majority iOS8 apps access GPS all the time and is this killing battery life. The short answer must be yes. 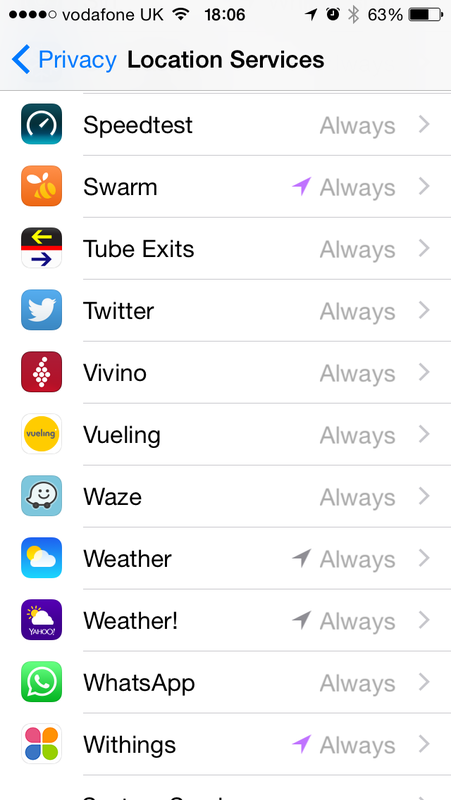 A parallel example and some context can be found is the now growing by day popularity smart watch scene. The latest 920XT from Garmin battery lasts only 24 hours with GPS on all the time, and this almost doubles to 40 hours when using the GPS in a limited mode every minute rather than constantly. However, if we turn GPS off, but still leave the Bluetooth, WiFi (yes I am also bored of hearing misguided people turning Bluetooth off on their smartphone to save battery, ok it helps, but relativity is important...) and other smart features on, we get months of battery from the 920xt. 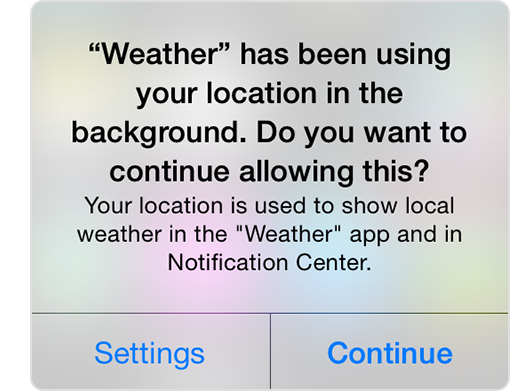 So go to Settings, Privacy, Location Services and prepare to be surprised, and then quite annoyed. 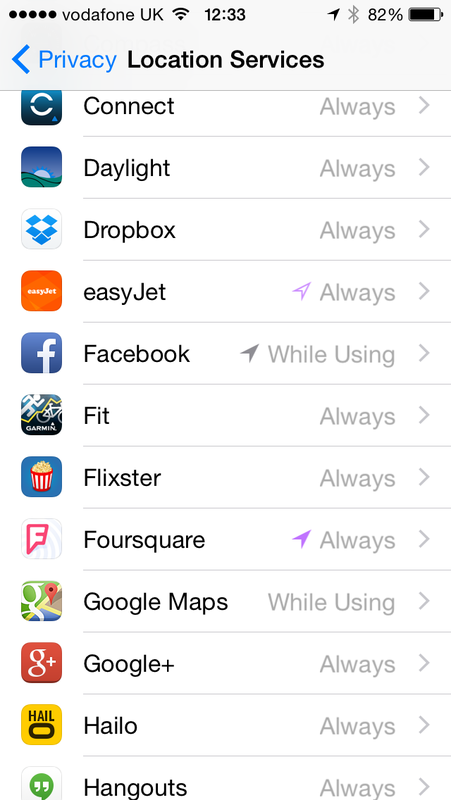 Surprised is first because you notice that pretty much all your apps are using location services always. Indeed I found this from the iOS alert to this very fact. 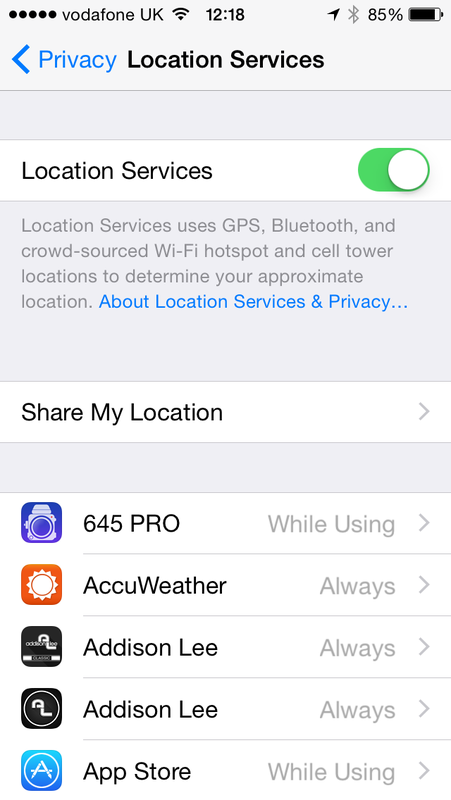 And then you look at the list and see responsible app developers either having "while using" only by default or allowing the option to be only using GPS when needed, the "While Using" option, like the amazing 645Pro camera app and Apple's own App Store by default: as it should be. 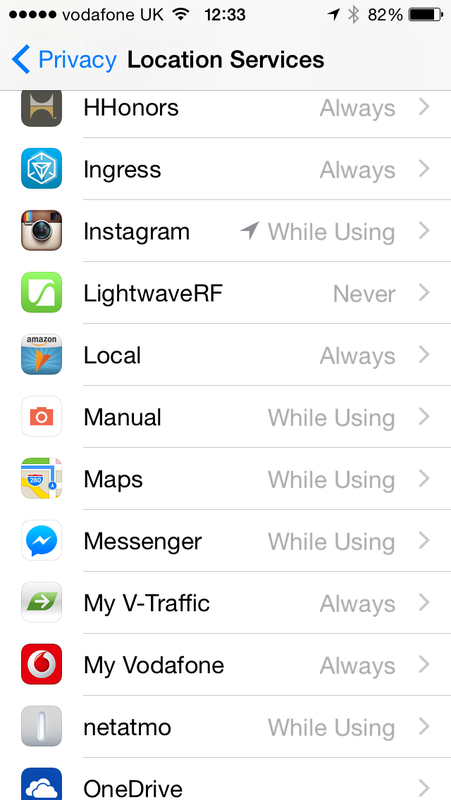 Responsible Apps are only using GPS while Using by Default. 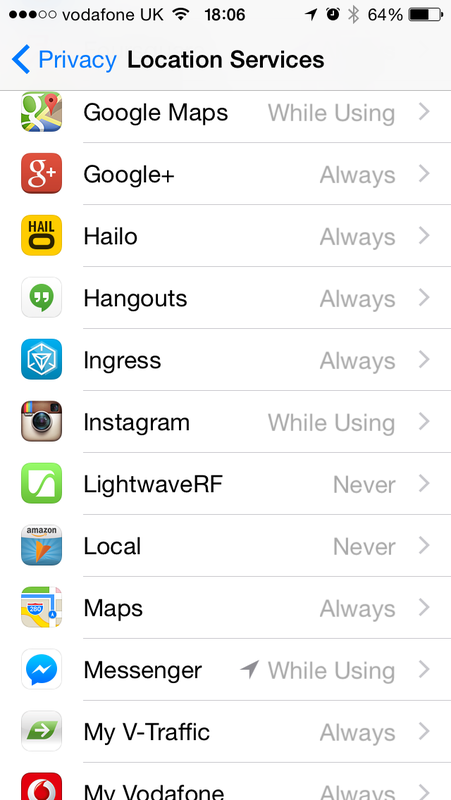 So then you look at the long list of apps and see that from, yes admittedly I have a lot of apps on my devices at any given time. 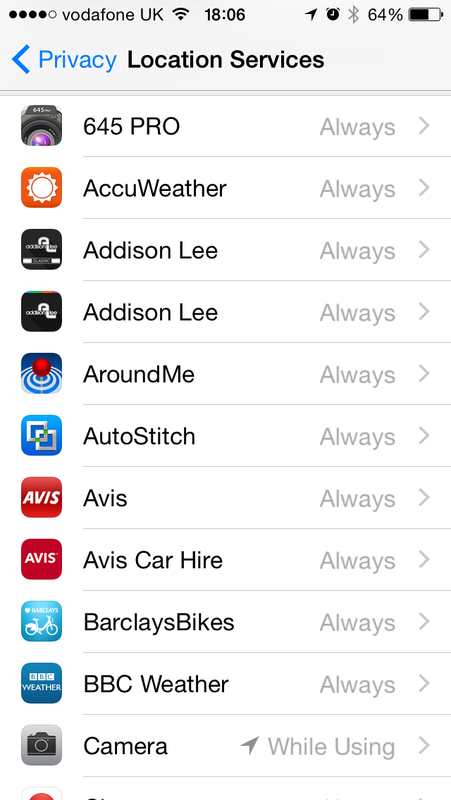 Surprise then shifts to annoyance as you try to make the Avis and Addison Lee (taxi) apps only use data when they need to, i.e when using: Why does Avis Car hire and Addison Lee, obviously now on their second app developer and fell out with their first (prey tell why two apps if not???) need to know my position all the time? in Case they want to surprise me with an unsolicited car? I don't think so! 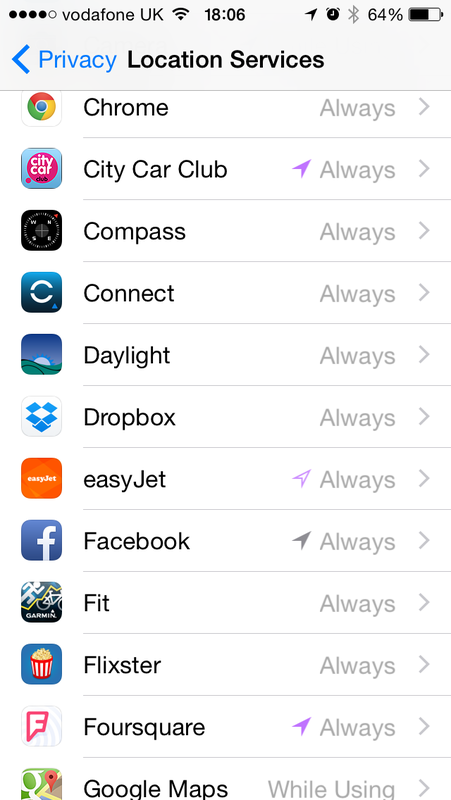 Why do all these apps need constant GPS access? 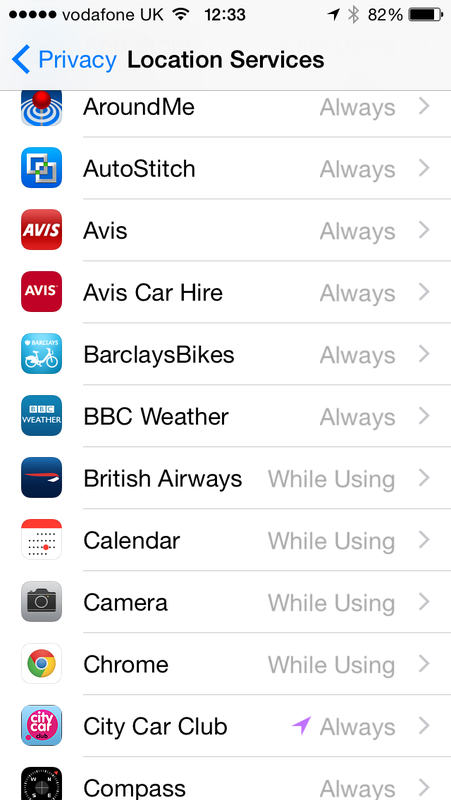 And it is not just Avis, ist pretty much all except 5 of 55 apps. 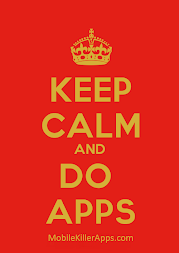 After going through them all (and one iOS8 crash... #notwhenJobswasabout) I have managed to turn all that I can back (some apps have changed, sorry). 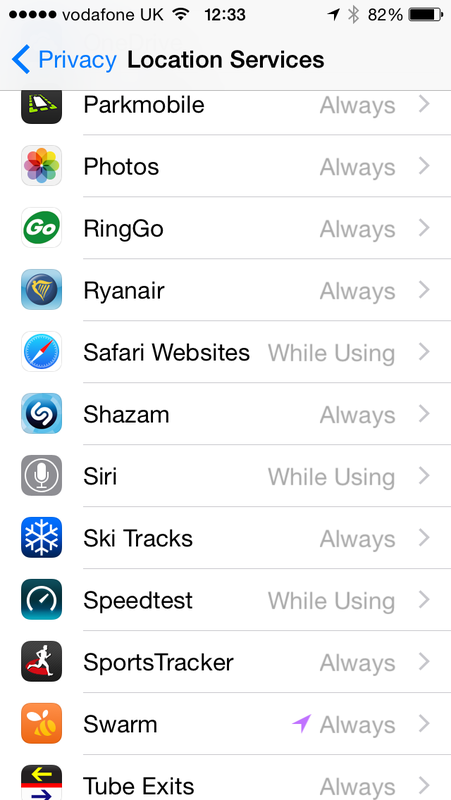 The Good are British Airways, Chrome and the Apple apps. 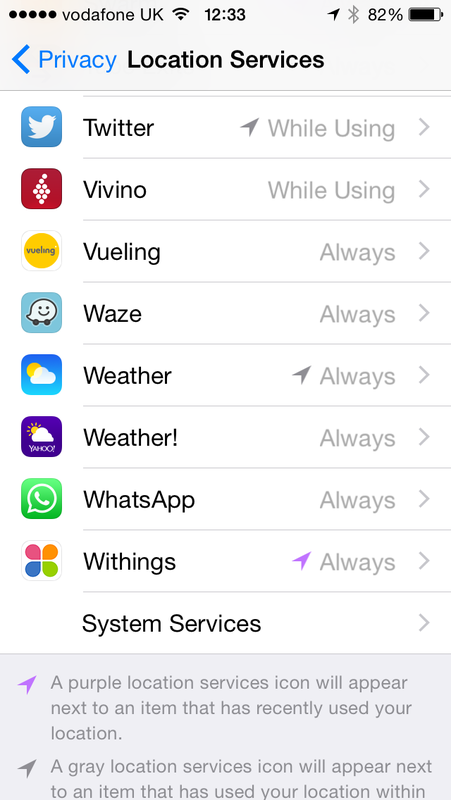 Nice to see Netatmo being responsible, and you can see that "Manual" is a showcase Apple app right here! No surprise Ryanair not following British Airways's great example... I wonder if they plan to charge me extra for not being close enough to the airport when checking in?